There is a common narrative where we tend to associate Search Engine Optimization with higher rankings on the Search Engine Result Pages or SERP. While it is true that the primary objective of an SEO campaign is to improve your rankings and increase organic traffic to your website, it doesn’t stop with that alone. Ranking is merely one of the ways to promote your business in the digital world, but good SEO goes far beyond that. It serves as an important marketing strategy that can transform your small business into a brand that customers trust and love to be associated with. In this short write-up we take a look at some of the benefits of SEO services that go beyond ranking. • Brand Awareness – Often the words ‘business’ and ‘brand’ are used as synonyms and interchanged. But this isn’t always the case. While every brand is a business, not all businesses are truly a brand. A business is any organization that is offering a product or a service, but brands are identified with their symbols, logos and slogans their products and services enjoy extra trust and loyalty among customers. As a business,you should continuously be exploring effective ways to evolve into a solidified brand as well. 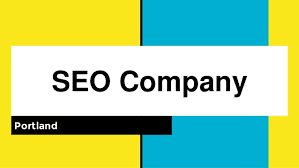 A well-conceived and methodically executed SEO campaign can generate great amounts of awareness regarding your business and guide part of the branding process. This will go a long way in establishing identity and help you stay ahead of your rivals. Even if a customer doesn’t click on your website when searching, you can build awareness, loyalty and other forms of association simply by being listed in search results for certain keywords that are important to your business. • Conversions – In the early days of SEO, most clients were just interested in ranking well. Over the years, they have realized ranking doesn’t mean much if it doesn’t lead to sales and conversions. If you are a limousine service provider, it would mean little to your business if people land up on your website searching for traditional taxi services. So a professional local agency offering you SEO in Portland should focus on ranking for not just keywords, but the keywords that convert. For example, if the aforementioned limo service company was only ranking for cheap limo service or limo service jobs, they might get a lot of traffic around the search term “limo service” but this won’t drive revenues through the business. This strategy has become the success mantra in the SEO industry of late, and experts work hard to make sure that landing pages are built to effectively mirror the search needs the user typed into their search engine in the first place. • Increased Accessibility – Another indirect benefit of working with an SEO specialist is the improved accessibility of your website they would be able to lead you towards. The moment you engage an SEO firm to work on your website, they would immediately review your website and take note of different accessibility features such as navigation, mobile-friendliness, load time etc. The search engines know that users prefer simple, fast and effective web experiences, so a good SEO agency knows how to improve your site around this strategy. You rank better, sure, but you also offer your web users a better, less confusing experience on your site as a by-product of working for better rankings. In a world where your digital image is often considered a true reflection of your real business, you cannot afford to do without consistent SEO efforts. It is the most cost effective and proven technique of marketing your business to your customers in the long run. Working with a local SEO company in Portland can lead to a rewarding, successful partnership. About Author: Kris Asleson works with a Company that offers SEO in Portland. He is a regular blogger and writes about different tips and tricks for Search Engine Optimization and other Digital Marketing techniques.